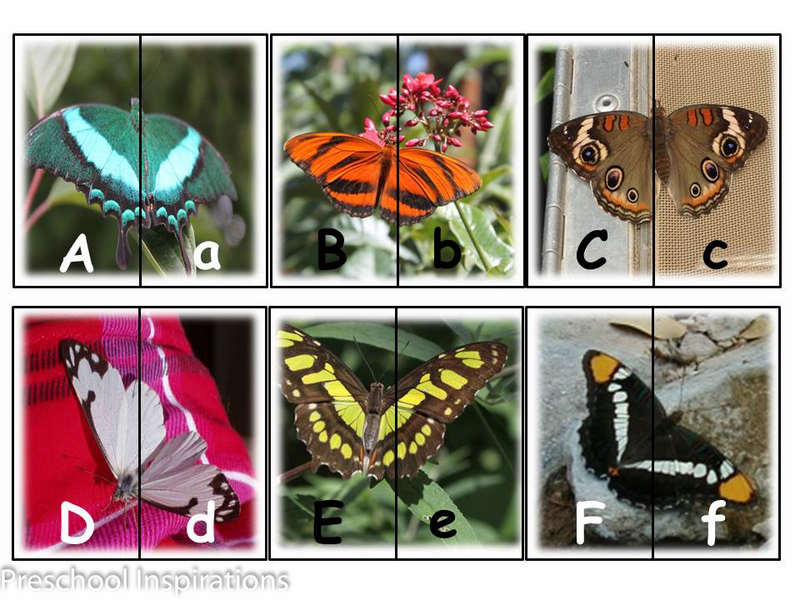 What do you get when you combine amazing photos of butterflies with a great preschool literacy activity? This great butterfly alphabet matching game! I must say that these are some of the most beautiful printables I have ever seen (and I have seen a lot), which were created and designed specifically for you all by our very own contributor, Marta. I love literacy games for preschoolers, and this is guaranteed to please. It combines both science and language development, and it is great to do in a small group or individually. Since it is also a puzzle, it uses self-correcting elements as well. Let’s match upper case to lower case! Spring fever is in the air! But since it is still too cold for Mother Nature to start really waking up, we decided to bring a little bit of spring inside. 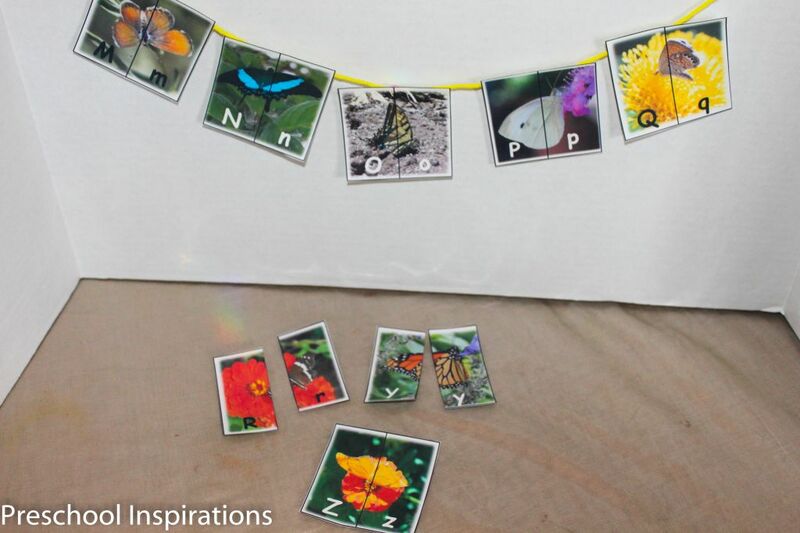 The Butterfly Alphabet Matching uses printed cards with real butterfly pictures [photographed by and copyrighted to Marta] to help children practice matching their upper and lower case letters. They can also be used to explore colors, shapes, and patterns in nature. You can discuss the body parts of a butterfly, habitat and environment, compare/contrast, etc. Some of the cards can be used to point out symmetry. Printed on card stock and laminated, these cards can be used for self-directed or individual time, at literacy or science stations, or just for fun at home to reinforce letter recognition. You could even print on magnet paper to make these into learning magnets. For the youngsters of your bunch, you could opt to keep the letter cards intact to see the upper and lower case letters together. Or use the cards to make an alphabet banner. If you liked this, you will probably enjoy reading Fun Butterfly Facts for Kids.